The loss of one or more natural teeth can be a devastating event, but with the support of an experienced and clinically skilled dentist like Dr. Boehmer, it doesn’t have to be permanent. 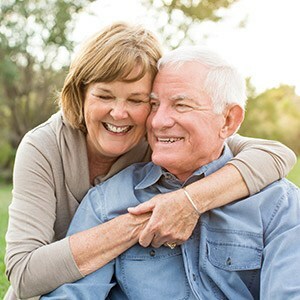 Here in Albuquerque, our practice features several outstanding reconstructive services that can bring back not only your full, confident smile, but your health and oral function as well. We can help you determine the ideal choice for your unique goals, preferences, and budget during an initial consultation – contact us today to schedule a visit. 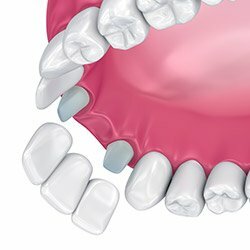 If your smile features a gap where one or more consecutive missing teeth once were, a custom bridge can help replenish this space. This prosthetic is made up of three components: the prosthetic tooth or teeth themselves, as well as two abutment crowns that will serve as “anchors” by fitting over adjacent natural teeth. Dr. Boehmer also offers implant-retained bridges, which rely on the support of two placed dental implants as a healthier and more permanent alternative. 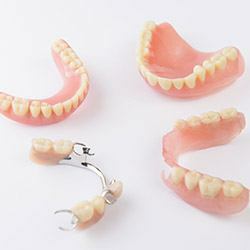 Today’s dentures are much more attractive and comfortable than the versions patients wore hundreds of years ago. Dr. Boehmer offers several prosthetic options here in Albuquerque for patients struggling with extensive tooth loss, including full appliances for replicating entire arches and partials that can fill in several gaps at once. Traditional dentures will rest atop the gumline and allow for full removability when sleeping or practicing oral hygiene. For increased health benefits and stability, we recommend pairing these custom prosthetics with dental implants. 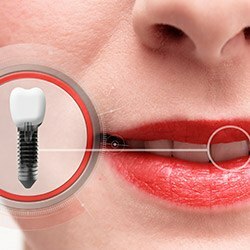 In modern dentistry, there is no better solution for reversing the ill effects of tooth loss than dental implants. Implants replicate every component of a natural tooth, starting with the study root that’s wholly hidden within the jawbone. With a new, enduring foundation in place, the replacement tooth thrives without negatively affecting the surrounding dental structure. The final result is virtually seamless from the original tooth in every way that matters – durability, aesthetics, and overall feel.